As a major trend for the global economy, the Industrial Internet of Things (IIoT) has brought us significant implications on increasing production and growing business successfully with three new approaches: create new business models, foster innovations, and transform workforce. In particular, smart IIoT has the power of fueling breakthrough innovations across industry. 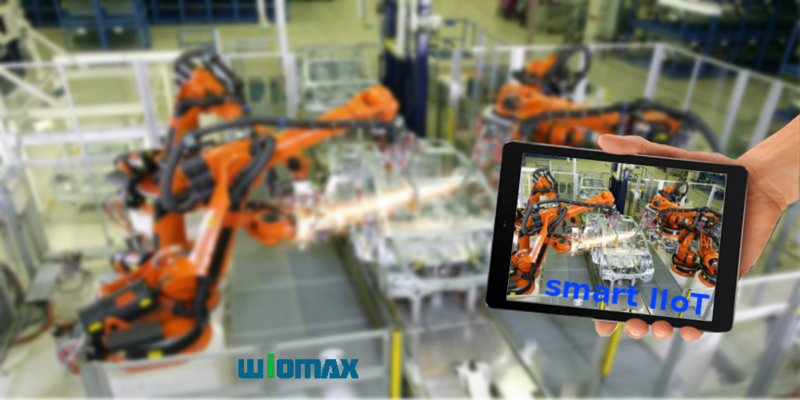 Smart IIoT incorporates smart and big data technologies to tackle the sensor data, machine-to-machine (M2M) communication and automation technologies in industrial settings, behind which, the driving philosophy is that smart systems can capture, communicate, and use data better than human beings in accuracy, consistency, synergy, speed and quality. Smart IIoT not only enables companies to pick up inefficiencies and solve problems earlier and sooner, but also save time and money, and support business intelligence efforts for our better environment and future. One example is the end-to-end predictive maintenance service in pump manufacturing, which has been applied to India’s largest pump manufacturer. The remote condition based monitoring obtains the information if the pumps are operating within the right thresholds, and through the data analytics of operating parameters of the pumps over extremely large time-ranges, the predictive maintenance of pumps is able to send real-time alerts under the conditions that either vital operating parameters of pump breached thresholds or failure would occur soon. More examples can be found corresponding to providing reliability assurance, capacity optimization and energy efficiency in oil and gas industry, water infrastructure and delivery system, manufacturing, brewing Industry, transportation, logistics, aerospace, and other industries, etc. Providing horizontal platforms with IIoT requires the majority of critical vertical solutions to satisfy specific customer needs in industries and settings. Meanwhile, creating complete vertical solutions with IIoT requires integration across the value chain and a deep understanding of the industry and setting where the solution will be deployed. It is unlikely to offer general-purpose and translatable smart IIoT products across multiple industries. We will need to either specialize in very basic technology or develop industry expertise for each vertical we pursue. It is challenging to use the same algorithms to interpret data across different deployments. So far, considerable tailoring is required to implement the same algorithm for different contexts; even within one industry, a single algorithm that is not tailored to specific settings has very limited application. For implementing successful smart IIoT, one of greatest challenges might be to find out which elements are applicable across different industries and to what degree each vertical and customer will require customization. Let us take an excellent smart IIoT implementation as an example. A powerful prescriptive analytics suite has recently been announced in thermal management industry to enhance thermal management of mission critical facilities. The analytics suite can not only automatically recognize and highlight the risks resulted from fault of equipment or lack of cooling redundancy, but also alert us the overcooled spaces and hidden capacity. In addition and more importantly, the analytics can guide operators with the specific steps to the best path of reducing risks, lowering costs and increasing efficiency. Before recommending the action leading to the desired outcome, the analytics would analyze billions of data points across hundreds of mission critical facilities. Through taking insight of predictive technology, the analytics tool has becomes a cutting-edge smart IIoT application in dynamic cooling management systems. In addition, the analytics not only helps access common data but also enhances collaboration and accountability across an organization, by using its individually tailored user interfaces pertaining to operations executives, site managers, and technicians respectively. Industry 4.0 has already created smart factory. While fostering innovations to benefit the next generation, we not only need smart IIoT, but also need to be smart in tailoring and customizing them across industry.